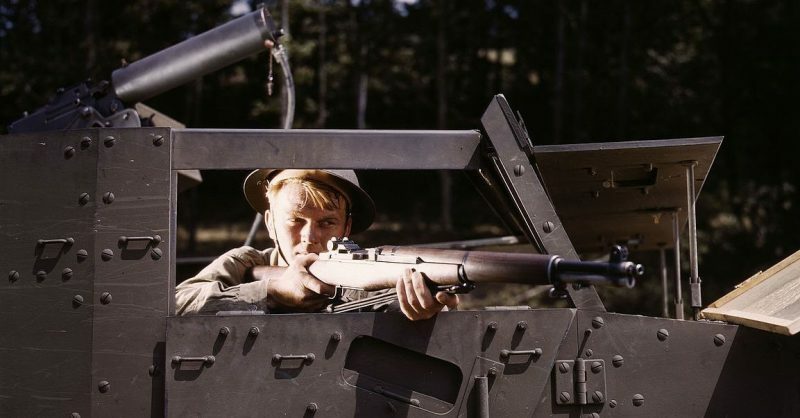 Halftrack infantryman with Garand rifle, 1942. The Philippines may be shipping 86,000 M1 Garand rifles to the US which will be made available to the US public through the Civilian Marksmanship Program (CMP). The rifles were mostly manufactured prior to 1957 and are considered highly collectible. The program will use the proceeds from the potential sale to fund their operations. The CMP is a federally chartered non-profit corporation which promotes firearms safety and training. It hosts a number of marksmanship competitions across the country. The CMP receives most of its funding from the sale of surplus military firearms, donated to the organization by the Army. Due to limitations on the return of firearms from overseas allies which were put in place by the Obama administration, the number of guns available to sell has been limited. Because of these limitations, the common variations of the M1 have been out of stock for two years. The CMP only has to pay the cost of shipping the weapons back to the US which should keep the costs low when they eventually go on sale. Only individuals who meet the CMP’s eligibility requirements are allowed to purchase from the program. The requirements include proof of US citizenship, proof of age, and membership in a CMP affiliated organization, Tribunist reported. The program also requires proof of prior participation in a marksmanship related activity or proof that the individual is knowledgeable about the safe handling of firearms and range procedures. This proof can be current or prior military or law enforcement service or the completion of specific training courses, the possession of a current concealed carry license, or other certifications. The state or municipality where the individual lives may have additional restrictions. The eligibility requirements are only required for purchasing weapons, not parts, ammunition, memorabilia, or publications that the program also sells – unless there are state or local laws that require them.